Dr. Bashir graduated from the University of the Punjab with a B.Sc. in Anatomy and Physiology, and received his MD from the King Edward Medical College in Pakistan. He received his MPH from the University of Alabama at Birmingham School of Public Health. After completing his internship and post-graduate residency training in combined Internal Medicine and Neurology at the Southern Illinois University School of Medicine, Springfield, Illinois, Dr. Bashir joined the Department of Neurology at the University of Alabama at Birmingham as an Instructor and Fellow. He completed his advanced fellowship training in Neuroimmunology and Multiple Sclerosis under the tutelage of (late) John N. Whitaker, MD. Dr. Bashir is currently a Professor of Neurology and the Director of the Multiple Sclerosis Center at UAB. 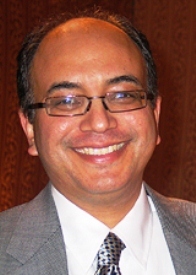 Dr. Bashir is board certified with the American Board of Psychiatry and Neurology (Neurology), and the American Society for Neuroimaging (MRI/CT).He is a member of the American Neurological Association, American Society for Neuroimaging, American Academy of Neurology, American College of Physicians-American Society of Internal Medicine, and Alabama Academy of Neurology. Dr. Bashir has received many honors and awards which include election to the American Neurological Association, election to the Alpha Omega Alpha Medical Honor Society, National Multiple Sclerosis Society Alabama Chapter’s Health Professional of the Year Award, UAB SOM Argus Award for Excellence in Teaching, UAB Department of Neurology’s Best Teaching Faculty Award, National Multiple Sclerosis Society Physician Fellowship Award, SIU SOM Barry Breen, M.D. Memorial Award for the Outstanding Medicine Resident, and has been listed in the Best Doctors since 2005. Dr. Bashir has co-authored a “Handbook of Multiple Sclerosis”, in addition to publishing several review articles, abstracts, peer-reviewed scientific papers, and book chapters. He has also served as a Principal Investigator and a Co-Investigator for greater than 30 multi-center clinical trials related to multiple sclerosis. He has been the recipient of grants from the National Multiple Sclerosis Society and the National institutes of Health. Dr. Bashir's research interests include design and conduct of clinical trials in multiple sclerosis, epidemiology of multiple sclerosis and study of biomarkers and mechanisms of progression in multiple sclerosis.